Holiday season is in full swing and I can’t help but be green with envy at all those jetting off right now! I can’t be too moany though as I am going away to America (Florida/Miami) but not until September! That doesn’t mean I can’t be prepared with my holiday wardrobe though. Especially as I saw KNITWEAR in the Asos new-in this week. I mean really? I know fashion is so far ahead but it seems crazy as summer is only just beginning in the UK. I had a little mooch in the Matalan holiday shop, they have tonnes of bikinis and cover ups at such amazing prices! I never spend too much on holiday items I’ll be wearing at the beach/pool etc as they tend to get ruined with sun cream! The beach towel is probably my favourite thing, it’s a giraffe print AND it’s black and white. I’ll be the envy of the pool. Maybe. 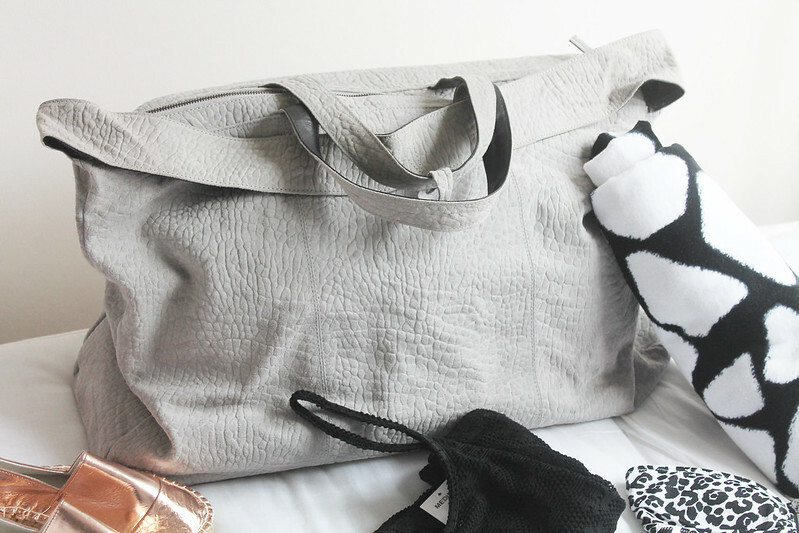 As I’m going for almost two weeks I’m going to have to squeeze as much as I possibly can in my luggage which is why I bought this lovely suede Topshop holdall to take on the plane. It can fit SO much in it, it’s honestly like a Mary Poppins bag. 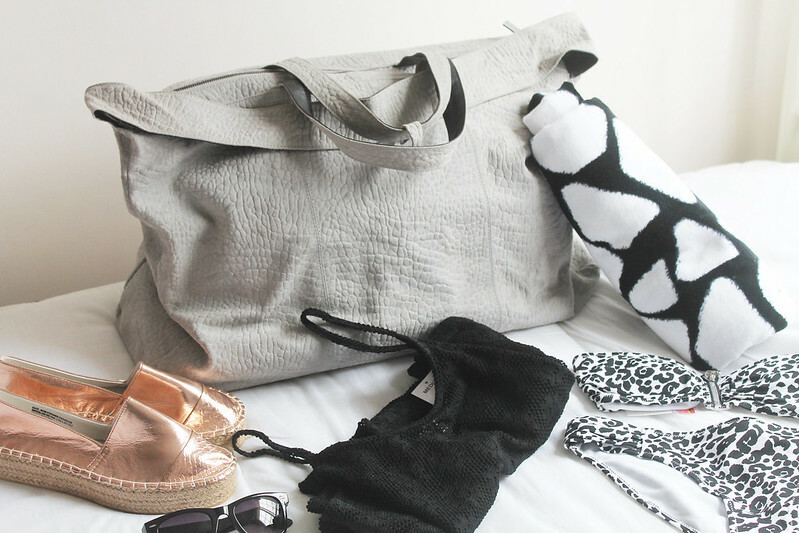 My plan is to squeeze my pool wear in here…with a little room left over for duty free. I cannot wait! Are you heading off anywhere nice this summer? I’d love to see any holiday blog posts if you’ve been away (to make me even more jels) so feel free to leave a link!